A highly-popular product with our customers, the children’s slipper is made of a soft, absorbent material with a spongy feel and a non-slip sole, making it ideal for avoiding accidents in wet areas like beside the pool or in the changing room. 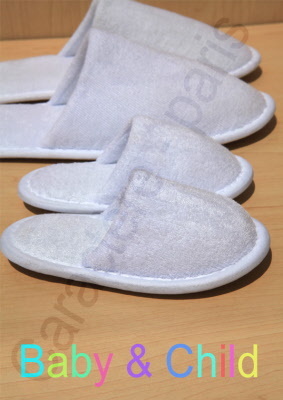 Improve your image with this high-quality slipper while staying within budget. Now available in open or closed-toe styles for greater choice and even higher customer satisfaction!